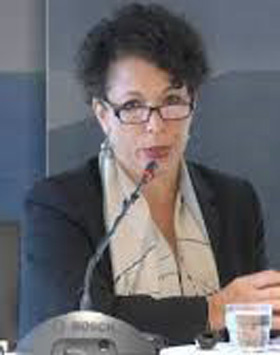 Michele Klein-Solomon is Senior Policy Adviser to the Director General of IOM. Prior to taking up this role she was IOM’s permanent observer to the United Nations in New York. She has also previously held the position of Director of the Migration Policy, Research and Communications Department in IOM Geneva. Prior to joining IOM, Ms. Klein-Solomon served as an Attorney Adviser with the U.S. Department of State, Office of the Legal Adviser. Ms. Klein-Solomon received her Juris Doctor and Masters of Science in Foreign Service (MSFS) degrees, from the Georgetown University Law Center and Georgetown University School of Foreign Service, in 1988, with honors including the Landegger Honors Certificate in International Business Diplomacy. She has published on the nexus between migration and asylum issues, on trade and migration issues, and on a range of migration-related subjects.